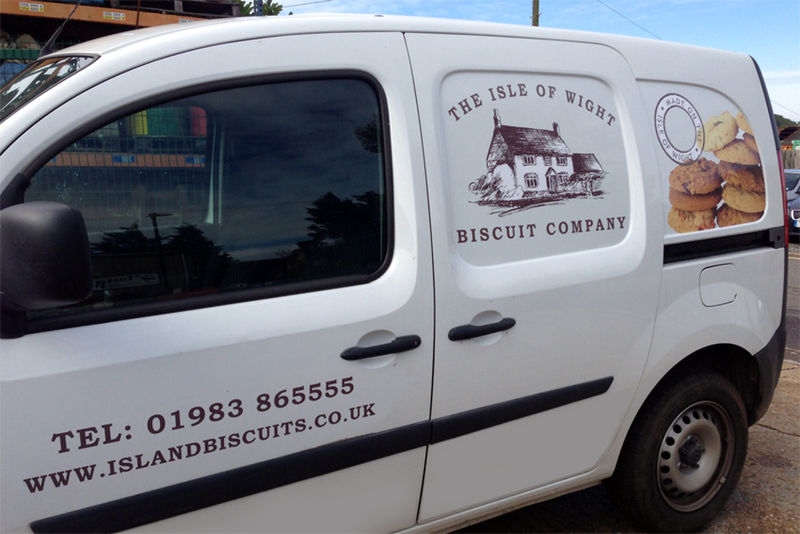 The Isle of Wight Biscuit company vehicle has had a makeover thank you to our friends at The Sign Company. 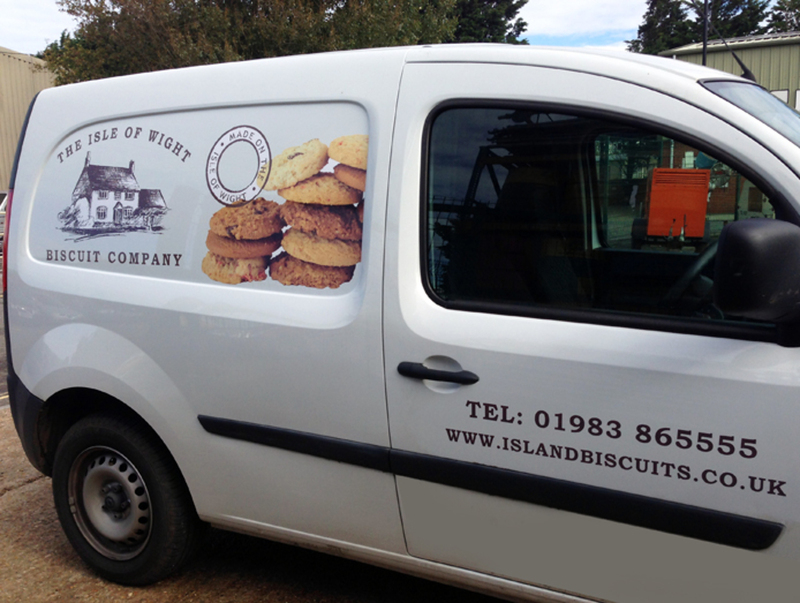 Now when we are out and about delivering our products we are easy identifiable. 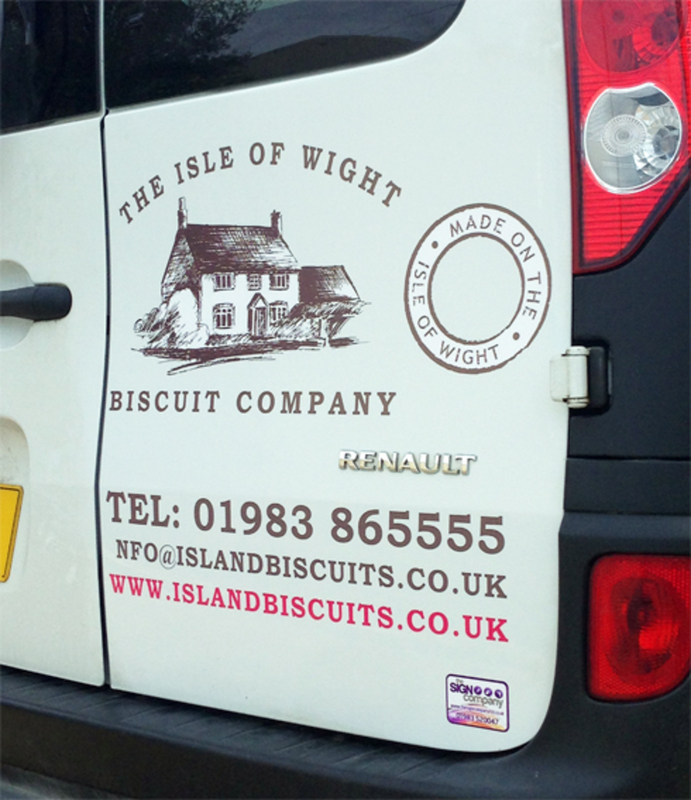 It took a while to decide on what to add on to the van and in the end we decided what better way to promote the company then showing what our biscuits actually look like. Hopefully people will see these large biscuits and be inspired to buy some! Give us a wave if you see us out and about!